The core of our Adult Program focuses on the Fundamentals of BJJ which will establish a solid foundation for you to advance through the system. Lesson topics in the Adult Program include modern Self-Defense tactics, Sport BJJ, No Gi Jiu-Jitsu, as well as Grappling in a Weapons Based Environment. 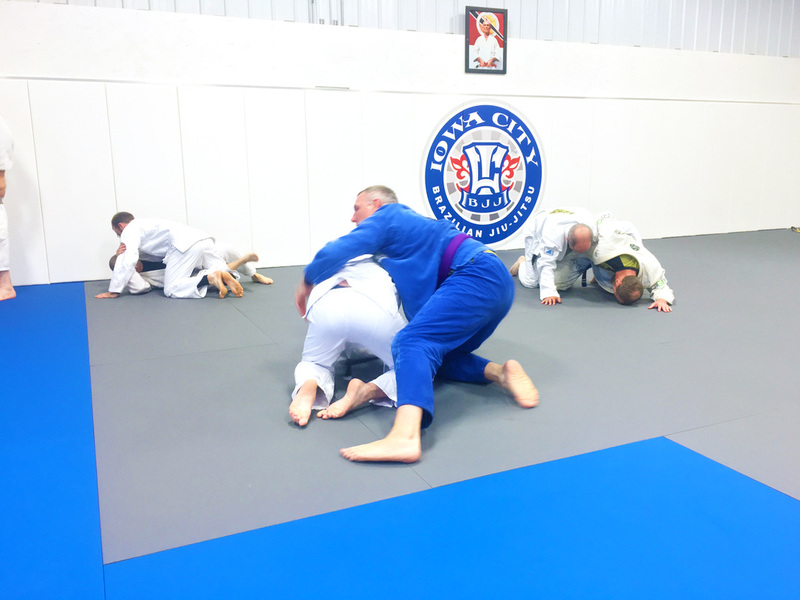 ​All of the ICBJJ Adult Programs are included with membership. In these classes the students focus on learning the fundamental concepts and mechanics of Jiu-Jitsu moves and techniques. The lessons focus on both Self-Defense concepts as well as introducing the student to beginning level sport Jiu-Jitsu techniques. From here, students will gain an understanding of the foundation of the system and will be ready for more dynamic training scenarios. This class is open to all levels. Building off of the foundation laid down in BJJ Fundamentals, these classes expand upon the fundamentals and incorporate dynamic technical drills into the lessons. The lessons incorporate intermediate and advanced techniques that are great for both the seasoned student as well as the immersive learner. This class is open to all levels. These classes teach the student how to grapple, control and submit their opponent when not wearing the traditional Jiu-Jitsu gi (training uniform). Adding another dimension to what it means to "know" Jiu-Jitsu, this class is a must for those interested in self-defense or competitions and is open to all levels. The essential characteristic of Jiu-Jitsu is that it is the Science and Art of Control that leads to Submission.